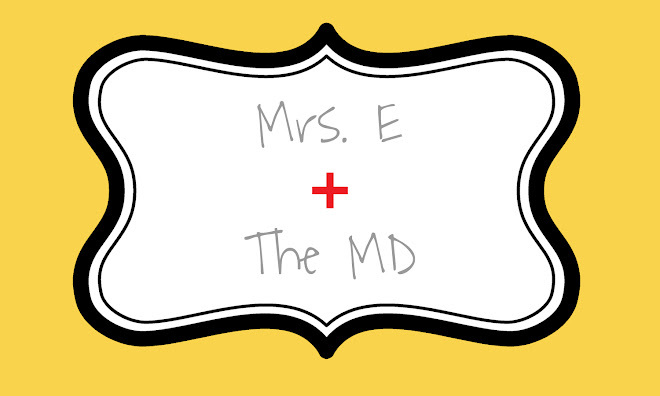 Mrs. E and the MD: Cheer, Cheer for Old Notre Dame! For the third year in a row, my parents have generously treated Luke, my brother, and myself to a Notre Dame football game. It's really my mom and brother's "thing," but I really enjoy football as well as the campus. It is an absolutely beautiful place. I always get so jealous of the students whenever I visit. This past weekend had the BEST weather (compared to last year in the freezing rain), so we were able to truly enjoy it from start to finish (through all the overtimes AND a loss). We experienced a jet fly over, which literally raised the hair on my arms, and we also saw the sprinkler system go off on the field during the game! It was a memorable day, for sure! My brother's girlfriend, Jana, came, too. Chris is trying to teach her all about football and she really seemed to enjoy it. I love taking pictures at Notre Dame. The beauty and majesty of the campus just never gets old, win or lose (we have yet to see them win).